I have been to Burning Man 11 times and the last 5 times I have set my mind on something I wanted to experience at BM prior to arriving. This year I asked for healing, not of any specific kind, just healing. One of my greatest pains I have experienced is the loss of a pet, for an animal that I felt responsible for. For some reason I become very sensitive when I look back to the pets I have had and the memory of their loss. 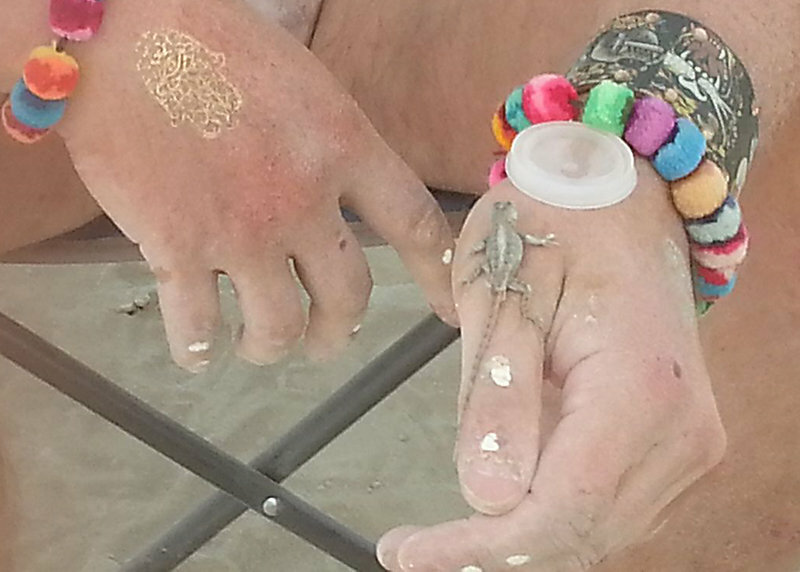 One of those painful memories was a losing a little baby blue-bellied lizard that I had made friends with on Stinson Beach. I had sat on a log and saw this 1/2" baby lizard and I put my hand out and thought if it gets onto my hand I will take it home with me. It did come to me and I took it home. I made a nice little home for it in a glass tank and had left food and water for it and put it outside one nice day soon after bringing it home. When I arrived home that night I noticed it was particularly hot and immediately realized it may have been too hot even with the open top on the aquarium I had it in. I get to the tank and my worst thoughts became reality, the poor little creature had been dehydrated due to the heat. I promised myself then that I would never take another animal out of its natural habitat no matter how well intentioned my thoughts were. I thought it was odd it was out there but was not sure if it belonged or not so let it be. 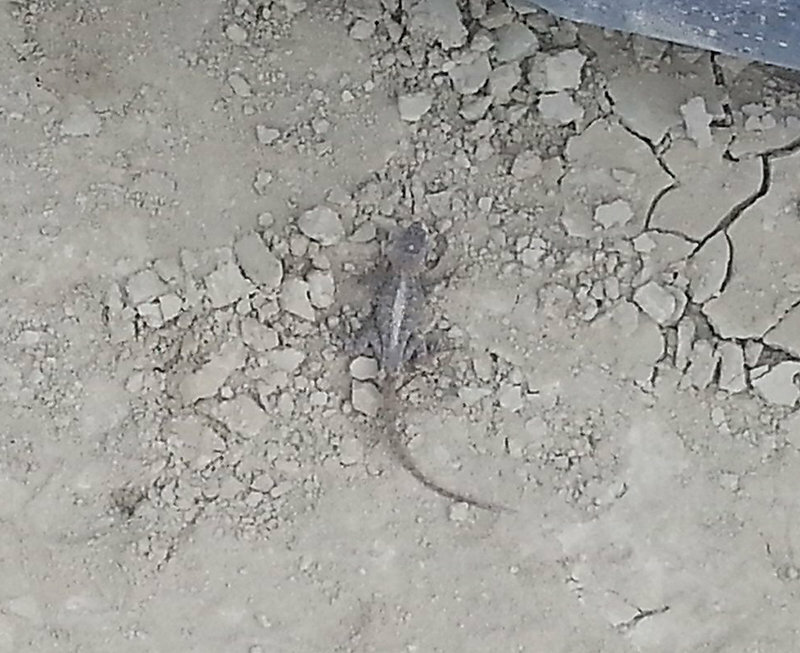 Later that day I was walking by the same area and thought I saw MOOP on the ground so went to pick it up when I realized it was the same little lizard my friend had photographed. I put my hand out and he got onto it and something very unusual happened, I went from feeling like I was in total flow mode to all of the sudden so grounded I really felt out of place. I tend to be really carefree but the realization that the very life of that blue-bellied lizard was in my hands, I became so grounded I realized my only meaningful mission was to get this creature to a more lizard friendly environment. I find out later that it had hitched a ride in the neighbors camper so it definitely was far from home and the neighbors were not far from where I ended up taking it to... Tilden Park in Berkeley where I love to connect with nature. When I finally got back home I took the blue-bellied lizard with me to Tilden and let it go. I call this experience "Redemption" and it was an unbelievably great source of healing for me.